What is the best argument for wood pellet heat with consumers today? How do we take our product to market when our "right now" economic argument isn't as strong as it has been in the past? - or - How do we take our product to market in an environment of low to lower heating oil prices? Are we maximizing programs like Stove Swap Outs and state level tax credits to the best of our abilities? What should the PFI's role be in amplifying those programs and opportunities for consumers? I've talked about taking the message of wood pellet heat to folks who may be more predisposed to wood pellet heat because the value proposition is more likely to resonate with those folks. In your opinion, is this an approach that has promise to get us to 100,000 appliance sales per year? With the previous question in mind, is there a group of folks (forest products professionals, for example) that you see as some low-hanging fruit that we should be targeting for some near term, fast growth? What do we know about the 49,000 people who DID buy a pellet appliance last year? Are we capturing enough information from them about their purchase to help us better strategize how to find more consumers like them? Is this an area where PFI could/should deploy some time and resources? Finally in the BBQ game - This week I became the proud owner of a LG900 Louisiana Pellet Grill. I'll be assembling the unit this weekend and hope to put it through its paces on some beef brisket as well. 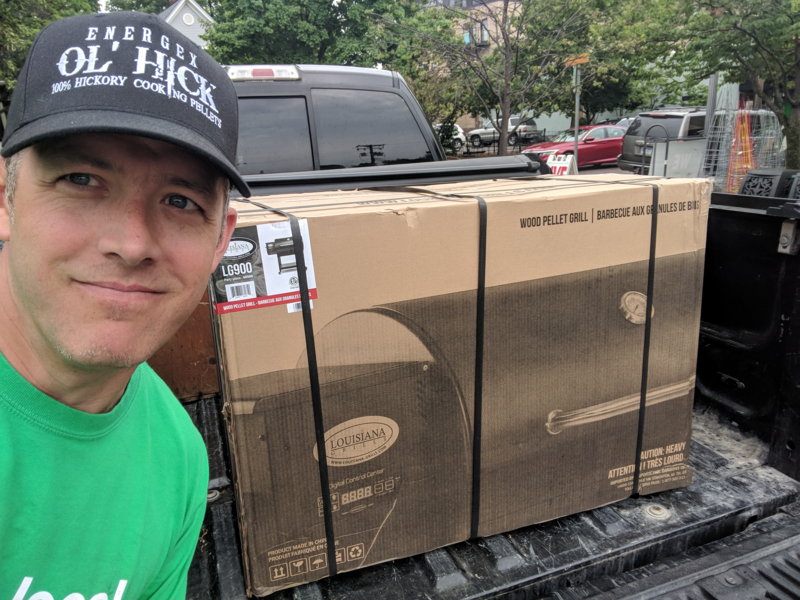 The grill purchase will bring the momentum of that category into sharper focus for me, provide me with endless opportunities for social media posts, entertaining and educating friends and family about pellet grilling appliances, and refine my understanding of what it means to be a pellet consumer. I couldn't be more excited. Ear to the Ground - Pacific Pellets of Redmond, Oregon has announced that it has sold its plant to Traeger Pellet Grills of Salt Lake City, Utah. Pacific Pellets has advised its retail dealers that no further production of heating pellets will take place at this plant, as Traeger will shift its production to 100% BBQ pellets. Pacific Pellets has, for many years, produced and sold premium grade heating and BBQ pellets to retail dealers in Washington, Oregon, California, Nevada, and Idaho. I look forward to seeing all of you in Myrtle Beach. Only Three Weeks Till the PFI Annual Conference in Myrtle Beach! Attending the PFI Annual Conference is an important way to show your support for our trade association and for the pellet fuels industry. We hope to see you in Myrtle Beach this month (June 24-26) - only three weeks away! Hotel rooms are almost full so book today if you haven't already. There are only a few of spots remaining in the golf tournament. Sign up soon if you want to tee off with your fellow pellet fuels industry members on a "National Golf Course of the Year," the gorgeous Grande Dunes Resort Golf Course! The PFI Annual Conference highlights the various applications of densified biomass, as well as trends and best practices within the densified biomass industry. It attracts a broad range of individuals from the public and private sectors, academia, and local, state and national governments from North America and beyond. The conference features two days of educational sessions as well as industry exhibits, extensive networking opportunities, and a golf tournament. The golf tournament is a great way to experience some friendly competition with your friends and colleagues in the industry while playing on a top-notch course. The agenda, previewed by Tim Portz in Nashville and here in Pellet Wire, is shaping up nicely. See the panels and information sessions we have in store on the PFI website. We're building a collection of photos of our members, their pellets mills and product. Send them to Carrie Annand at [email protected]. This week's featured photo is thanks to Cory Schrock of Fiber By-Products. Don't miss the opportunity to sponsor PFI just in time for the Annual Conference! 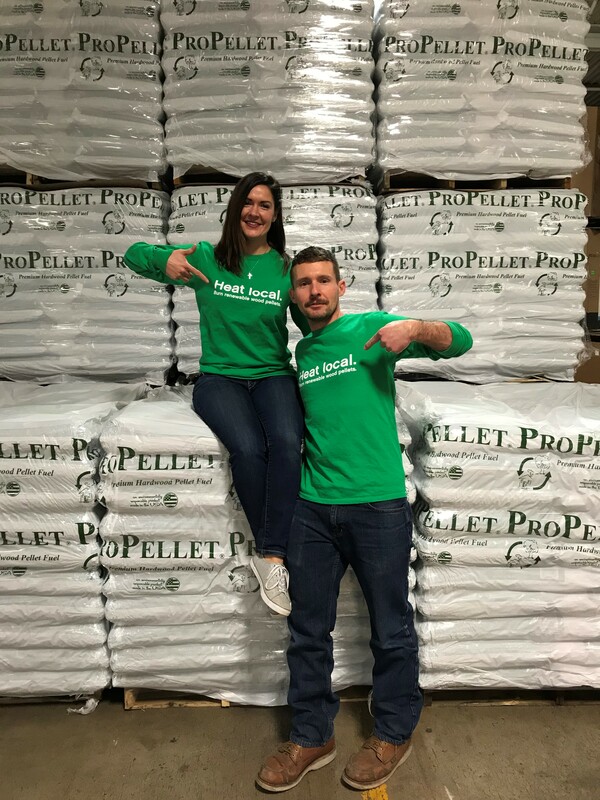 Sponsorship at all levels brings many perks, along with exposure for your company to the pellet fuels industry. By signing up to sponsor the association early in 2018, you will reap the benefits throughout the coming year. Good barbecue is a slow process. And I'm not talking about grilling. I'm talking about real BBQ -- the "low and slow" smoking of beef, chicken, pork and a whole host of other foods. Walk into any reputable barbecue restaurant and the pitmaster will tell you that to do it right takes time, usually half a day or more. Manning a pit can also be backbreaking work. Between chopping or hauling wood, shoveling coals and moving around large cuts of meat, it can be exhausting. But a little technology can help ease the relentless grind. One example of that is Traeger's Timberline Series, a pair of wood-fired grills that take a lot of the hassle out of the process. The Timberline series does its job well and actually puts its app and WiFi connectivity to great use. The technology here is more than just a gimmick. However, the $1,700+ price means it's for amateur pitmasters rather than casual backyard cookouts. Spring has sprung and for many of us who've had to endure a long, cold, miserable winter, it's time to get outside, enjoy the sunshine and dust off that gas grill - or maybe throw it away. Let me explain. A few years ago, I interviewed Noah Glanville, the founder of the Pit Barrel Cooker Company, whose simple and innovative take on backyard BBQ helped turn average joes into pit master rock stars. Around that same time, I didn't realize another way to BBQ in your backyard was also taking off: pellet grills. For the uninitiated, pellet grills are powered by electricity with "augers" that heat up the grill with flavored wood pellets (hickory, apple, mesquite, etc.) and this is where the magic happens. A digital control panel monitors the heat and temperature of food while kissing it with a subtle blanket of smoke. In many ways, pellet grills act like giant convection ovens and offer far superior taste and ease of use compared to gas grills, according to the growing number of die-hard "pellet heads."